For Admins make a new gamemode in your server .ini and ruleset. You can also use UTCC. The gamemode runs as mutator. So you put Map and Gamemode in the SAME folder. The gamemode will override the files inside of the map, needed for the mod. 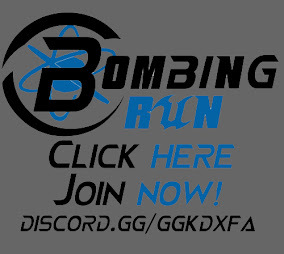 You need to activate the mutator, if you have a server called "BombingRun". On hubs the host, which is making the gameinstance, needs to choose this mutator. For nwBombingRun ?BR=true needs to be added. Tthis will turn on those options: doublejump=true brtrans=true adrenaline=true iBR=false vBR=false BR=true, which equals UT2004 gameplay. For vanillaBombingRun you need to add ?vBR=true, this will turn all parameters false, which equals UT4 gameplay. For instagibBombingRun you need to add ?iBR=true. Adding only this value will set UT2k4 gameplay. Adding additonally ?vBR=true will set UT4 gameplay. Lowgrav can be added as mutator too. If you add the mods as "Featured" on your hub please mark them for example "2k4BombingRun" or "UT4BombingRun"
If you wanna help modding, modeling, mapping etc, just hit me up.